Almshouses. C16; restored 1838; partly rebuilt 1907-9 by W.D. Caroe. Heavitree stone; partly rebuilt in brick, stone and timber-framing. Clay plain tile roof with gable-ends, sprocketed eaves and pierced ridge tiles. Brick gable-end stacks with corbelled brick tops. 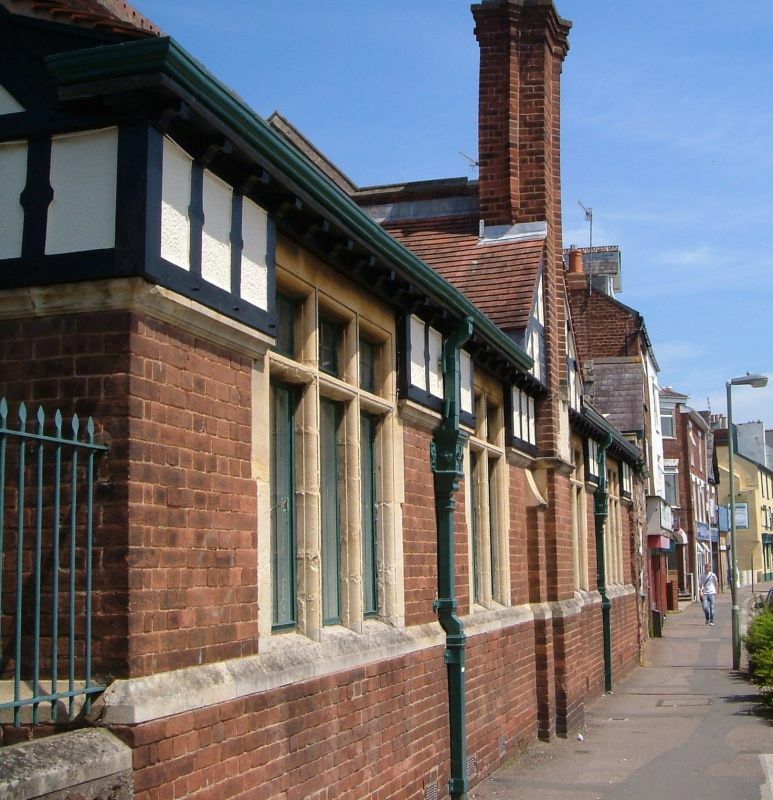 PLAN: L-shaped on plan range of almshouses, the west end rebuilt 1907-9 in free Tudor style. EXTERIOR: 1 storey and attic. Ground floor brick with stone dressings, stone window frames, plinth and stringcourses, with timber-framing above; panelled doors with canopies on shaped brackets. C16 wing on left [E] with sashes on ground floor, C20 flat roof dormers above and chamfered arch doorway on left; on left [N] corner a stone arch linking almshouses to chapel [qv]. Rear [S] facing road, 2:1:1:2 bays, large 2 and 3-light stone mullion windows with transoms, and timber-framed gable at centre with brick stack. C16 stone range on right [E] with sashes, gable on right and stone stacks heightened in brick. SOURCE: Buildings of England, p.432.